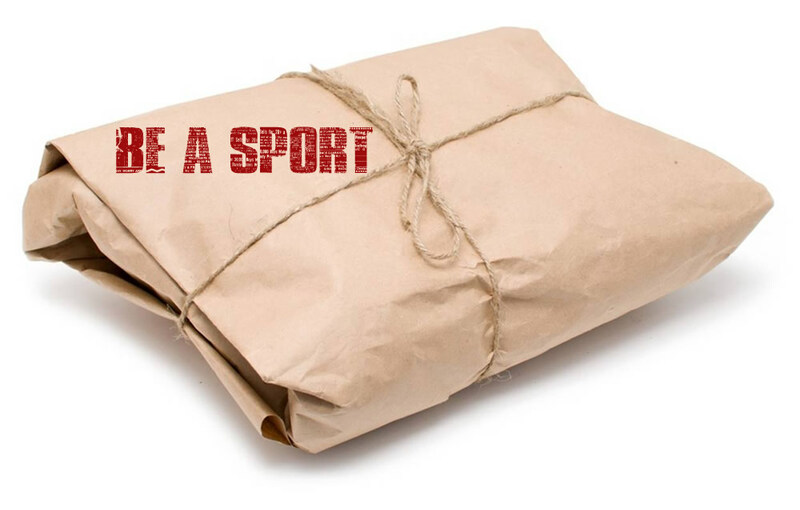 Back in my day, the children’s party game, Pass-the-Parcel was a pretty simple game for the parcel passers and the parcel wrapper. One child received the one prize after various layers of paper were unwrapped by various children to upbeat party beats. It would seem that the present day Pass-the-Parcel rules have changed. Now it could more aptly be called, Pass-the-Parcel-of-Many-Parcels. If we stick to the current day rules, each child will receive a prize as they unwrap their layer of paper, lest they be bitterly disappointed that they didn’t win and were the mere recipients of a crumpled layer of paper. Facilitating a game of pass the parcel was only the beginning for me. As a parent I continue to find myself grappling with the “It’s not about winning/Try your best/Go for Gold/Be In It to Win It” seeming contradictions that pervade the messages we put out there, particularly in the sporting arena. There is competition out there whether we like it or not. Some people get medals, recognition, jobs and the one Pass-the-Parcel prize, others don’t. Granted, there is a case to be made for taking a non-competitive stance, particularly in sport for Primary School children. I’m not going to make that full case here, just a quick acknowledgment of some benefits which include encouraging greater participation, fewer injuries, less stress and a long term enjoyment of sport. All that (well not much really) said, in reality, there are some but not many schools or parents who seem to defer to a non-competitive stance. Many a Facebook feed is filled with pictures of parents celebrating their children’s achievements. We all tallied the Olympic medals and we continue to celebrate success. So competition is a thing and it looks like it’s here to stay and truth be told I don’t think that’s such a bad thing. Some of our children struggle with participation, some participate and some excel. As parents, regardless of our children’s struggles or skills, how we help them manage the competitive landscape, is key. So here are a few thoughts on that front. We have to allow our children the space to find their interests, their passion, their strengths. If you were the running champ at school, you may want your child to follow in your footsteps. Conversely, if sport wasn’t your thing, it may feel really important that your child succeed in sport. Either way, we have to keep ourselves in check. We have to try and let our children lead us in what they want to be doing and not the other way around. Projecting our hopes, dreams, fears and failures onto our children does not make for happy endings. The younger the child, the less likely they are to have the emotional maturity to handle losing. How we support them in losing can influence how they cope going forward. Of course, each child is different and some take to competition earlier than others. Let’s not kid winning feels good. Watching our children succeed feels great- we like it. But winning at all costs, that’s just not cool. I’ve been on the side of a soccer field where my son’s opponents have been ‘playing dirty’ and I have witnessed parents encouraging our team to ‘play dirty back’. I don’t get that. Competition provides an opportunity for the challenging sport of integrity. Surely that’s a vital value we want to instill in our children. Knowing you helped an opponent up, knowing you played fair, knowing that no matter how hard it felt at the time – you didn’t disrespect the ref – surely that’s the stuff that we want our children to take into the world. Yes yes I hear you, the world can be cut throat and rough but if you don’t have integrity to stand you in good stead, the world will always feel shaky. Exposing our children to things in which they do not necessarily excel is a good thing. I think we have to try mix it up as much as we can while they are young. That does not mean overloading our children with extra murals by the dozens but it means not having a completely narrow focus at the age of 7 in a particular sport or position. It must be fun! They are children. It must be fun. Our children generally do not like it when we do any of the above 6 – ask them. They like us being there and cheering them on but they want us to be there as their parents. There are such valuable lessons to be learned in not winning, in making mistakes, in failing. These are opportunities to build resilience in our children. We can help them to know that its ok to feel disappointed and to express that disappointment but that that loss does not define them and there is a way passed it. Life is inevitably going to throw challenges at our children – trying to protect them from the disappointment diminishes their experience and does not help them grow. Sometimes we win and sometimes we lose, either way we have to learn to pick ourselves up and try all over again. Before we place our stamp of approval or disapproval on something we should ask our children what they thought of their performance. Allow them the space to self-evaluate so that they are not dependent on what we think. We want to grow children who can trust their assessment of things and are able to ask for the support that they need. We are often surprised at how incredibly insightful our children can be, given half a chance to share their thoughts. Of course we can and we should! If we do something well, we should acknowledge it and celebrate it. Carol Dweck a Professor of psychology at Stanford university has done various studies on motivation which provide insight on how we can support our children through their struggles and successes in life. She claims that whilst we should praise our children, we should do so wisely. We should not be praising them for their ability or skill (you are so clever, good at chess etc) but rather be giving meaningful and honest feedback about the process that leads to them succeeding. This means acknowledging the effort that they put into something while also giving them the support they may need to improve. Children who are supported in this way manage challenges better. They can better trust that through practice, putting in effort and applying themselves they can solve new challenges as opposed to being crushed by them.